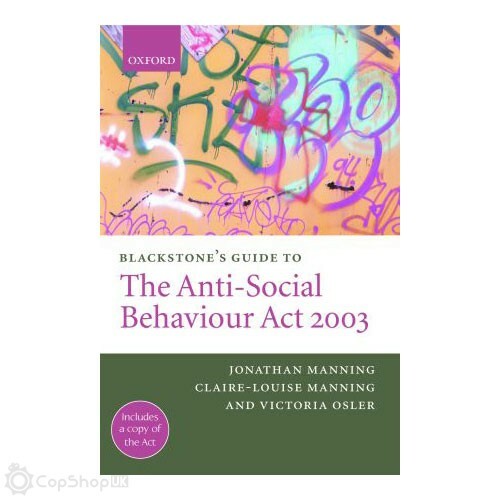 The Anti-Social Behaviour Act 2003 comes into force in stages from February 2004 and is a major initiative in social policy and criminal justice for the Government. The Act makes major amendments to a wide range of existing legislation (including the Housing Acts 1985, 1988 and 1996, the Environmental Protection Act 1990, the Public Order Act 1986, the Education Act 1996, the Crime and Disorder Act 1998, the Criminal Justice and Public Order Act 1994 the Firearms Act 1968 and the Police Reform Act 2002) and so it will have a significant impact. The Guide takes a practical and critical approach to the Act, providing full commentary and background information on its provisions. Readership: The primary market consists of: solicitors and barristers working in a broad cross section of criminal, housing and public law. In particular, practitioners working for local authorities will find this of great interest.